FLORHAM PARK, N.J., May 17, 2018 /PRNewswire/ -- Imagine if police could predict where the next burglary will happen in your city. Knowing the likelihood of a crime in a certain area before it happens could help. Law enforcement is becoming more proactive thanks to data analysis advances. Conduent Incorporated (NYSE: CNDT), a leading digital interactions company, showcased just how this can work by using high-precision technology to predict where the larger concentration of street crimes will occur in Portland, Ore. The project won the company a challenge prize from the U.S. Department of Justice. 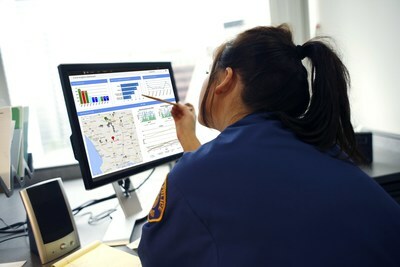 According to RAND Corporation, crime forecasting is the application of analytical techniques to identify promising targets for police intervention to help reduce crime risk and solve past crimes. To provide researchers and the federal government with a better understanding of the potential for crime forecasting in the U.S., the National Institute of Justice sponsored the Real Time Crime Forecasting Challenge, with the goal of advancing place-based crime forecasting using data from one police jurisdiction – Portland. Challenge participants were asked to predict crime hotspots in the city to test how effectively crime forecasting algorithms could forecast police calls-for-service in four crime categories, including burglary, street crime, motor vehicle theft and all calls-for-service. As a large-business contestant, Conduent's mission was to highlight fact-based, yet often unintuitive actionable insights, like the time and type of the next likely crime event. 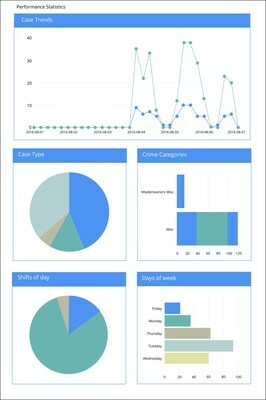 Conduent's technology forecasts crime using data from a variety of sources, including calls-for-service (using computer aided dispatch records), historic crime occurrences (using record management systems), municipal land-use data and other jurisdiction-specific data. The Operational Analytics module within the Conduent Business Intelligence platform (CBI) accurately predicted 14 crime hotspots in Portland. CBI is a highly configurable, flexible platform that provides a user-friendly interface for running machine learning-based analytics. "The challenge demonstrated our technology recording high precision and recall in a new application," said Don Hubicki, general manager, Conduent, Transportation. "We plan to invest the prize money back into the product and look to expand CBI based on the lessons we've learned with this challenge." Conduent Public Sector Solutions help government agencies transform operations and digital interactions to better serve constituents. Driving innovation through analytics, research and data, Conduent works with 1,700 federal, state, regional and local clients in all 50 states and 34 countries around the world. Conduent is always looking for new, creative ways to deploy technology to help reduce crime. Conduent (NYSE: CNDT) is the world's largest provider of diversified business services with leading capabilities in transaction processing, automation and analytics. The company's global workforce is dedicated to helping its large and diverse client base deliver quality services to the people they serve. These clients include the majority of the Fortune 100 companies and over 500 government entities. Conduent's differentiated offerings touch millions of lives every day, including two-thirds of all insured patients in the U.S. and nearly nine million people who travel through toll systems daily. Whether it's digital payments, claims processing, benefit administration, automated tolling, customer care or distributed learning - Conduent manages and modernizes these interactions to create value for both its clients and their constituents. Learn more at www.conduent.com. Note: To receive RSS news feeds, visit www.news.conduent.com. For open commentary, industry perspectives and views, visit http://twitter.com/Conduent, http://www.linkedin.com/company/conduent or http://facebook.com/Conduent.